Not only is it great for the security of the school, but it also gives our veterans some meaningful employment and a chance to share their experiences with a younger generation. This is a clear example of how other schools in other states should react instead of liberals and their crazy ideas of removing the second amendment! Tired of the empty rhetoric about school safety, one charter school in Florida has decided it’s time to bring in the big guns, literally, to protect its students from threats. Palmetto’s Manatee School for Arts has just hired two combat veterans — whom they’ve armed with semi-automatic rifles and handguns — to, as the principal put it, “put down” anyone who comes on campus intending to do harm. Manatee School for Arts Principal Bill Jones explained that his school is not interested in trying to “talk” or “negotiate” with potential threats — they’re just going to take them out. 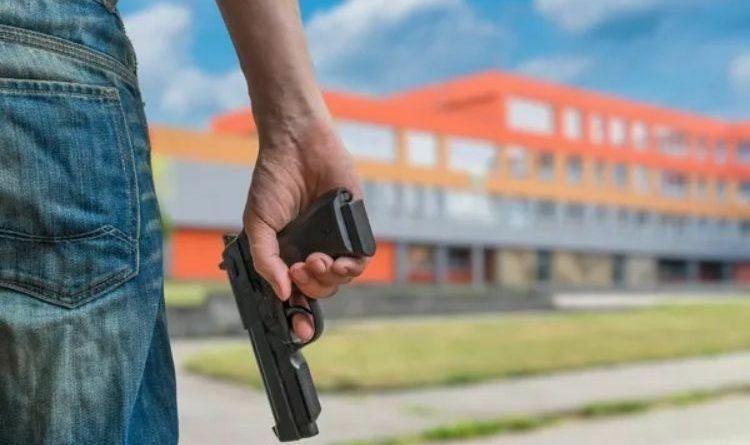 The Herald notes that the Public Safety Act enacted in 2018 in response to the horrific mass shooting at Marjory Stoneman Douglas High School requires all public schools in the state to have armed security personnel on campus. While many schools have lawmen assigned to the schools as resource officers, the new law allows for some alternatives. Being a charter school, Manatee has even more leeway for who it uses for security — and how it chooses to arm them. The choice of using only military veterans and allowing them to carry their semi-automatic rifles has gained national attention, including from CBS Miami. While many schools do provide security personnel rifles, they do not carry them; instead, the rifles are usually stored in security racks in their vehicles. The administration has also mandated that the guardians use ammo for the long-guns that does not “over-penetrate,” specifying shells that will pierce basic body armor but not go through the intruder, which would pose a risk to others. This will set the new security standard for the rest of the country’s schools. Those without this type of protection will be considered sub-standard for student protection. Who would have ever thought that “armed school security guard” would ever become a job classification….but it will? BREAKING: Ten GOP Lawmakers Petition Chairman Nunes To Release the Explosive FISA Memo!